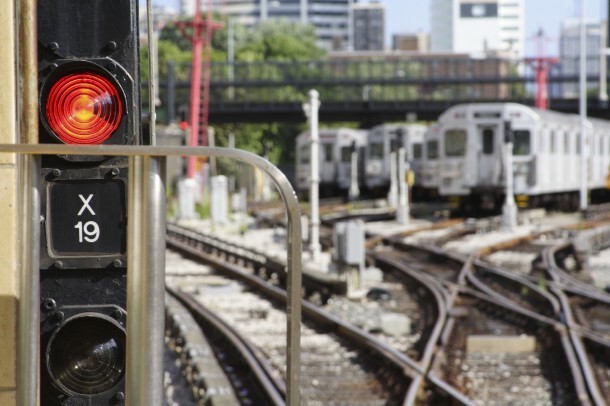 The Scarborough transit debate; a never ending saga - Bazis Inc.
Over the past few months, we’ve been following Toronto’s major transit issues on our blog including the major Union Station revitalization project and the construction of the Eglinton-Crosstown LRT. We strongly believe that transit is essential to the survival of a city that’s why two of our projects Emerald Park and E Condos will have a connection to public transit. It’s no surprise then, that the Scarborough transit saga has us captivated. 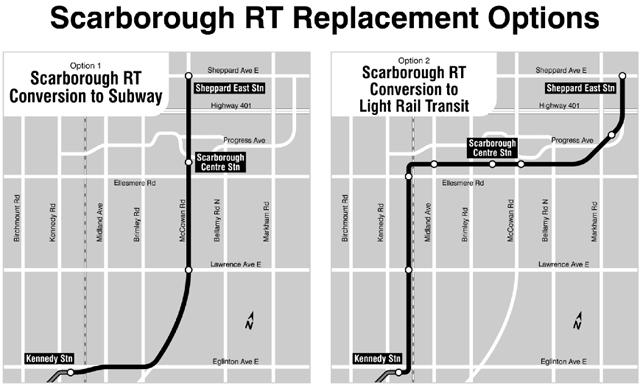 Scarborough transit issues date back several decades to 1975, when the debate was about bringing the now-standing RT to connect the rest of Scarborough to Kennedy Station, and essentially Toronto. 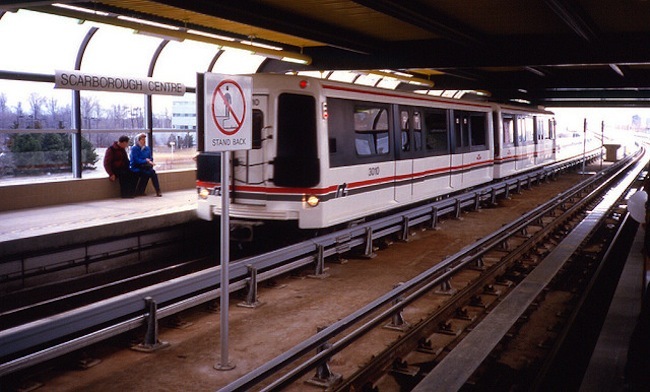 More recently, the Scarborough RT made headlines once again in 2007 but this time to replace it with an LRT as proposed in the Transit City report. In the years since, we’ve seen debates after debates on whether developing an LRT or subway extension was the answer to Toronto’s transit woes. It wasn’t until late 2012 when the plan to create build four new LRTs, including the Scarborough LRT, was set in stone – or so we thought. Officials from Metrolinx, the TTC and the city came together to sign a much-anticipated master agreement to build four new Toronto LRTs with $8.4 billion in provincial funding. Toronto City Council agreed to ask the province to reopen the master agreement it had signed six months prior because many councillors preferred an extension to the Bloor-Danforth subway rather than an LRT to avoid closing the SRT for a minimum of three years and eliminating the need to transfer at Kennedy Station. However, Councillors also voted against raising taxes and handed the responsibility to the province to put together the remaining amount needed to fund the subway. Metrolinx issued an “ultimatum” threatening to stop work on the Scarborough RT if Toronto didn’t provide clarity by August 2. At this point, the project had already costed an estimated $85-million. “We would prefer not to spend money on projects the city doesn’t support,” said Bruce McCuaig, Metrolinx CEO. At this point, it’s also made clear that there is no extra money in the Metrolinx budget to cover any cost beyond the originally allocated $1.8 billion (of the $8.4 billion) for the Scarborough LRT. After a two-day debate, Toronto City Council voted 28-16 in favour of building a Bloor-Danforth subway extension into Scarborough rather than the proposed LRT. Once the plan was approved, Council issued a deadline on commitments from the province and Ottawa. Building a subway is expected to cost the city about $1.1billion more than an LRT line, which was fully funded by the province. If there’s no money, then there’s no subway. The proposed deadline for the provincial and federal government to commit to the subway extension. Is the Scarborough subway the answer to Toronto’s transit woes? Or are commuters better off with an LRT? Be sure to follow us on Twitter to keep up to date with the Scarborough transit issue.